List of some of the best international schools in India offering IB, IGCSE & CBSE curricula with top class residential, boarding & hostel facilities. The programmes in International Schools in India vary from the International Baccalaureate (I.B.) programme, which includes PYP, MYP, and Diploma to the British GCSE, GCE examination systems, AP, Ontario, CBSE & ICSE. All schools are required to satisfy the requirements of the Indian national system. The Indian education system is based on 12 years of schooling, which generally begins at age 4 and includes 5 years of primary school, 3 years of middle school, 2 years of secondary school, and 2 years of higher secondary school. Q. What is an international school in India? An international school is a school that promotes international education, in an international environment, either by adopting a curriculum such as that of the International Baccalaureate, Edexcel or Cambridge International Examinations, or by following a national curriculum that is different from that of the other schools in India. 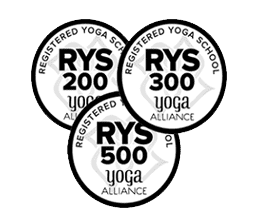 These schools are primarily for non-national students, who are the children of the staff of international businesses, international organizations, foreign embassies, missions, or missionary programs. Many local students attend these schools to learn the language of the international school and to obtain qualifications for employment or higher education in a foreign country. Q. Is IB board better than IGCSE? IB for Class 12 level is considered to be very challenging academically as IB requires extended essay in 4000 words, theory of knowledge, 150 hours of CAS apart from the comprehensive tests and project work, 1500 - 2500 word research report, fieldwork report, paper presentation for all the subjects. Unless one is motivated and focused, it will be very difficult to complete IB. Parents need to decide whether to move to IB or CIE A level based on their child's ability and also the school's experience in providing these programmes.IB's lack of examinations does not build trust in parents as compared to the ICGSE exam-based course. Q. What is IGCSE School in India? IGCSE is the International General Certificate of Secondary Education (IGCSE) Cambridge University. It is an academically rigorous, internationally used, specialized, English language curriculum. Cambridge Primary is for learners aged 5 to 11 years. Cambridge Secondary 2 is typically for learners aged 14 to 16 years. 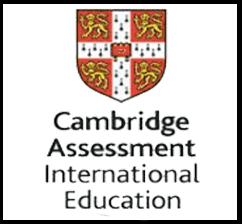 It offers learners two routes: Cambridge IGCSE and Cambridge O Level.Cambridge Advanced is typically for learners aged 16 to 19 years (after class 10) who need advanced study to prepare for university and higher education. It offers learners two routes: Cambridge International AS and A Level, and Cambridge Pre-U. Q. Is IB and IGCSE the same? No, they are not the same as IB is an educational Foundation while IGCSE is a school educational programme of Cambridge which conducts examinations. IB has a more global context while ICGSE is England oriented. IB does not conduct any examination but the students are expected to reach a certain level of educational expertise in their chosen subjects. ICGSE students must sit for an examination at the end of the course. According to the IB organisation schools can continue the IB’s Middle Year Programme along with IGCSE or finish MYP in class 8 and do IGCSE independently and these models have been adopted by some schools. Q. Is IB accepted in Indian colleges? The IB website indicates that the Association of Indian Universities (AIU) recognizes IB Diploma as equivalent to Indian Class 12, however in practical terms IB is not given priority and only few colleges under Universities accept IB, mostly in Mumbai and some in Delhi. Also. there is no clarity on whether the IB score is equivalent to the percentages of the Indian Boards. Even if the IB score percentages are accepted students cannot get admission the same year but will get admission only the next year as IB results are declared only in July by which time admissions are mostly closed by that time. IB indicates that there are predicted scores provided to the students but most of the colleges in India donot accept the predicted scores. An IBDiploma Programme student is able to appear for the entrance examinations for admission to professional courses like engineering, medicine, management, law, etc., in Indiabut they could be at a disadvantage if they do not have their scores on time for admissions to Indian Universities. Q. What makes a school an international school? International schools follow an international curriculum (such as International Baccalaureate, Edexcel or Cambridge International Examinations) or they follow a specific national curriculum different from curricula common in India.If a school just has the word International in its name, it does not become an international school as actual International schools lay emphasis on international curriculum accepted all over the world. According to IASL criteria for International Schools students in international schools can get admission to another International school anywhere in the world. They have a moving population as students come and go. They also have students of various nationalities studying in the school. They have an international curriculum and international accreditation though there is no selection criteria or entry exams for admission. They also have a multinational teacher population that is transient and keeps moving. The medium of instruction is usually English but can be bi-lingual. Q. How is IB different from IGCSE? The International General Certificate of Secondary Education (IGCSE) and the International General Certificate of Education (IGCE) examinations are the world’s most popular international qualifications conducted after Class 10 level. The IGCSE prepares students for further academic study, including progression to A/AS Level, Cambridge Pre-U, BTEC Level 3, IB Diploma Programme and other equivalents. The biggest difference is that IGCSE is granted at class 10 level while IB is granted at Class 12 level. Therefore, students with IGCSE have the option of going for IB certification after Class 10 level. Apart from IB, students Post IGCSE can also opt for other equivalent certification like CIE A/AS Level, Cambridge Pre-U, BTEC Level 3 etc. The IB MYP is a framework and offers no formal examinations while IGCSE is curriculum based and students need to pass an external examination. SoIB schools are free to develop their curriculum while IGCSE has a curriculum that a school must cover. Therefore, the IB programme is much more demanding on the teacher’s ability to design the programme. That’s also the reason that many schools while they offer Class XII IB certification may not offer MYP and PYP. Q. 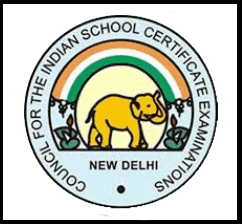 How many IGCSE schools are there in India? 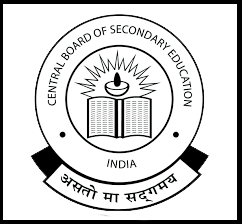 International General Certificate of Secondary Education (IGCSE) was developed by Cambridge International Examination (CIE) in 1988 and it is offered by over 400 international schools in India. Q. How many IB schools are there in India? Approx. 156 IB World schools in India currently offer one or more of four IB programmes i.e.